For the benefit of the audience at the conference, I wanted to make sure that everyone present could easily access the apps that I was talking about, and so rather than handing out promotional codes on scraps of paper, I decided to simply drop the price of the non-free apps that I described in the presentation to zero for a few days. I didn’t tell anyone else about this, and figured that a few dozen people would accidently get a freebie or two. That’s not quite the way it worked out: in actuality more like a few tens of thousands of people got in while the going was good. Next time I pull a stunt like that, I might just shorten the window of opportunity a little bit, but if anyone out there is reading this, and you made the best of it, please consider popping by the iTunes AppStore and putting in a favourable review and/or rating! Besides having the opportunity to meet a lot of bioinformaticians and semantic web experts (two adjacent fields that I have not been paying as much attention to as I should have), it certainly didn’t hurt that the conference was held at the Lido of Venice. This being my first time ever to visit any place along the mediterranean, I have to say the location is quite amazing. For a rustic colonial who doesn’t normally bother taking photographs, well lets just say I snapped several hundred of them in the Lido and main city of Venice. It’s one of those places that isn’t overhyped: it really is a must-see. Nonetheless, there’s now a lot of work to catch up on. My list of cool ideas to try to prioritise was already pretty long, but many brainstorming sessions later, it’s grown a whole lot. 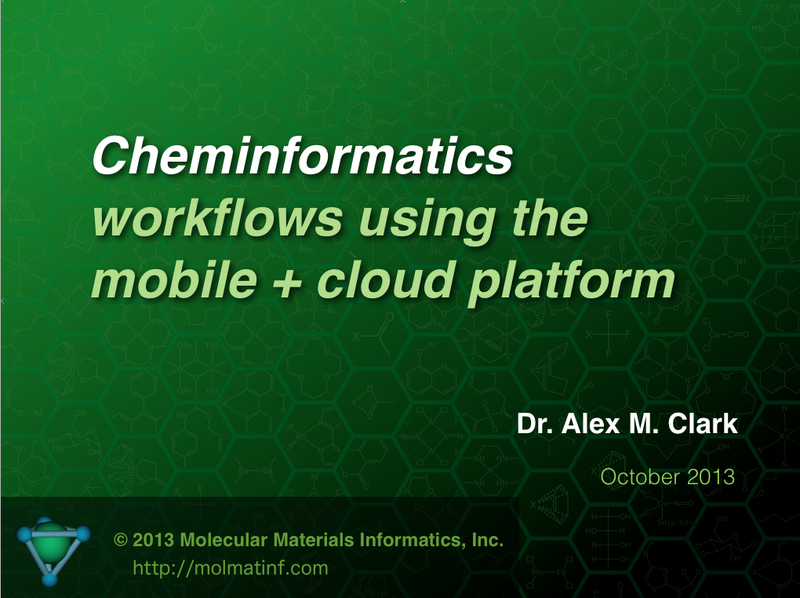 So much to do, before or after the next trip, to the 9th German Conference on Cheminformatics. for Bioinformatics and Biomedical Laboratories, and is hosted by NETTAB (Network Tools and Applications in Biology) and held in Venice, Italy. This will be my first time I’ll see the Mediterranean, so this is all rather exciting!